European Under-17 Championship 2014 runner-up with Netherlands. Kenneth Paal started his career at NEC Nijmegen, but already as a 13 year old, he was spotted by PSV Eindhoven scouts and joined the “Boerem” youth academy in 2010. Thanks to many great games in the youth teams, he was added to the Jong PSV team before this season. 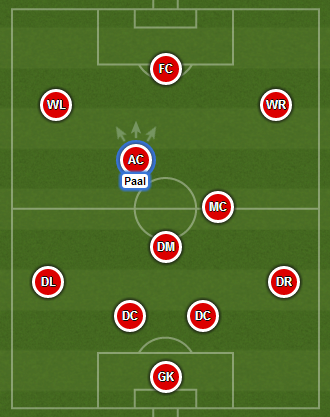 Jong PSV team is a “B” team of PSV, playing in Eerste Divisie, which is the second Dutch division. Darije Kalezic, the manager of this reserves team, put him in the first eleven very quickly and Kenneth was able to make his debut on 9th August 2014 in the first league match against Achilles ’29. 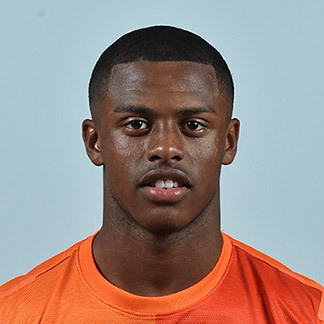 Paal is a regular youth international representing the Netherlands – recently, at the UEFA European Under-17 Championship 2014 in Malta, he was one of the leaders of the silver medal winning side.